This is an exceptional opportunity to move into this beautiful & desired neighborhood with a 3/4 bedroom, 2 full bath Ranch home with finished basement that offers additional rec area and possible 4th bedroom or exercise/hobby room while being situated on a fabulous wooded lot that is sure to impress...easy to show and fast occupancy available! 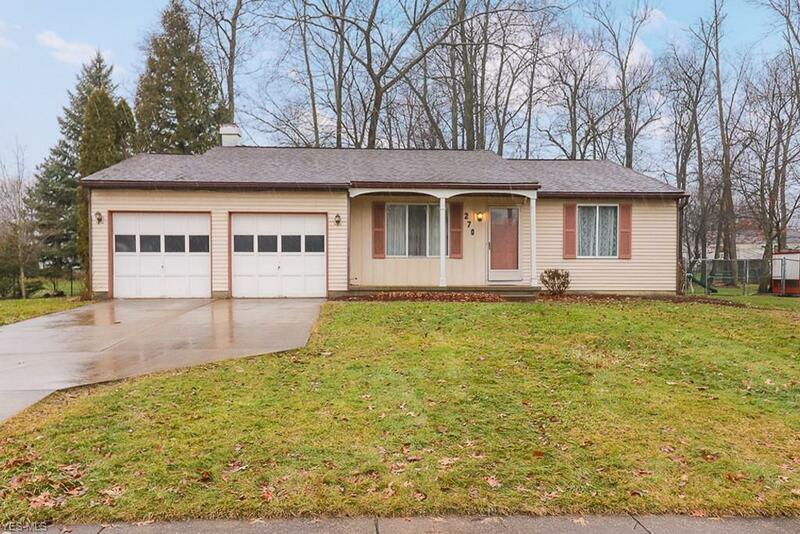 Nice curb appeal in an amazing location near everything including an attached 2 car garage. Enter to a well thought out floor plan of spacious room along with some updates but more cosmetic updates will be needed but you can get into this amazing home at a truly affordable price and just ad your final touches for some immediate equity! Large kitchen includes appliances and open to the light filled dining area. Family room includes a romantic fireplace to enjoy on those cozy winter evenings. large window for natural light in the formal living room....Newer laminate wood flooring for that added touch! Updated bath with new vanity and top! Owner's suite with walk in closet that can be turned into an additional private owner suite bath (It was an option during construction) The finished basement is huge with endless possibilities. This is a one owner home with so much more...Call today for your private tour!